There's no rest for the weary. While the past couple of weekends have been busy, busy, busy, I was able to enjoy some down time as I grabbed coffee this weekend. The weather has been inconsistent lately so the sunshine on Sunday was wonderful to enjoy. How was your weekend? It's great you were able to enjoy some downtime this past weekend. I'm all about chilling on the weekends when I can and there was plenty of that since we had rainy weather for most of Sat and Sun. Aw yay for sunnie days and coffee breaks! 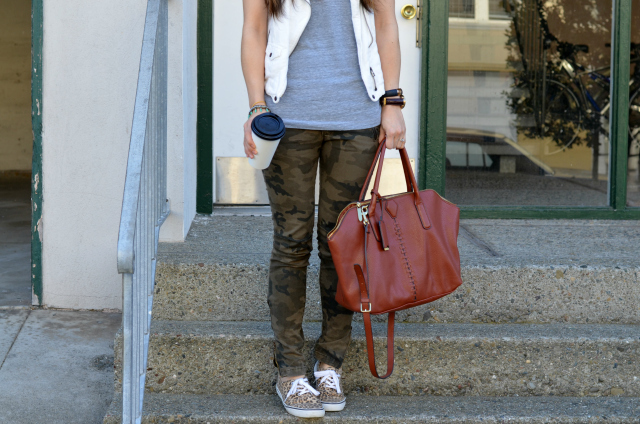 I love the camo and leopard! You and your blog are both too cute! Love love love those pants! That is such a cute look on you. 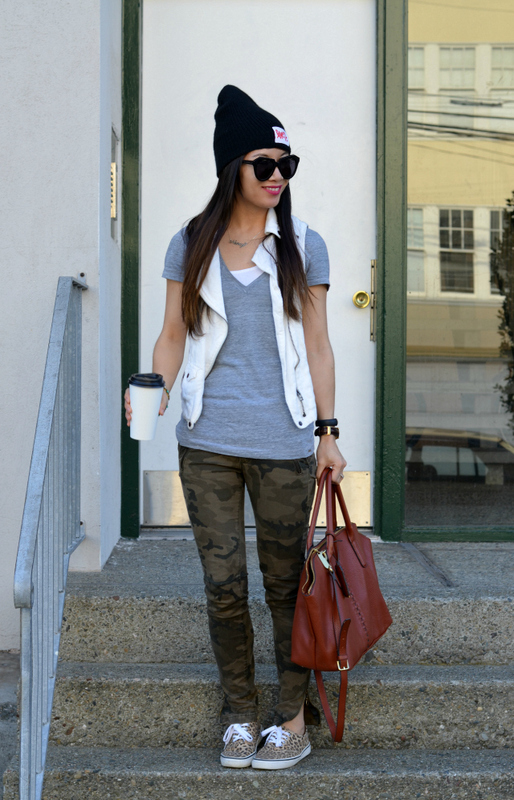 Relaxed yet chic and cute. A down time is what I need most at the moment. So crazy how it is all about rushing and trying to get things done. 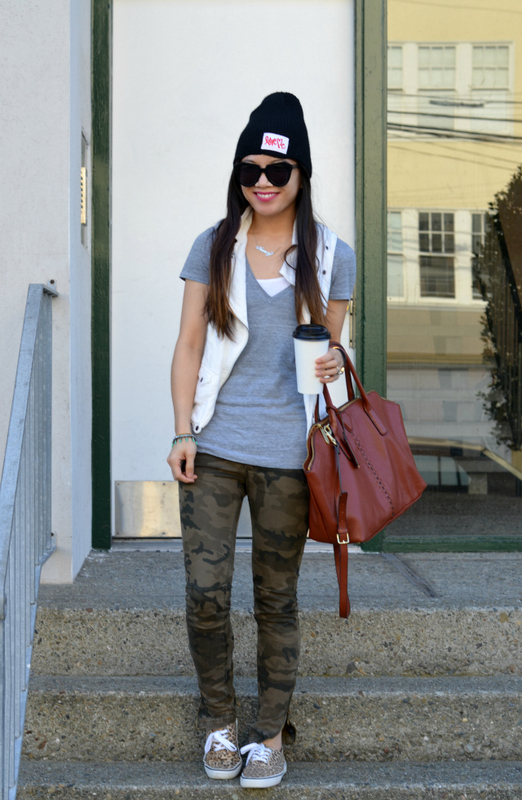 Ooo loving the sporty chic look and the best part? It is comfortable! 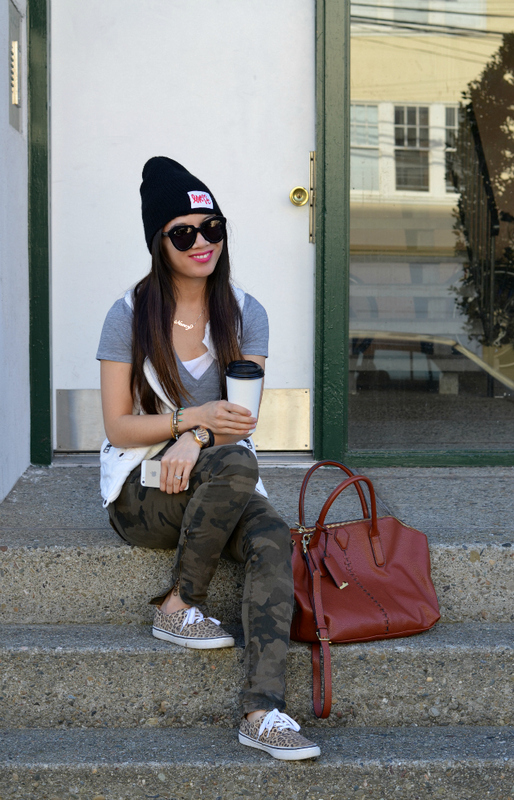 Love the camo pants with your beanie. Great look. I have those sneakers and I've been wearing them non stop. 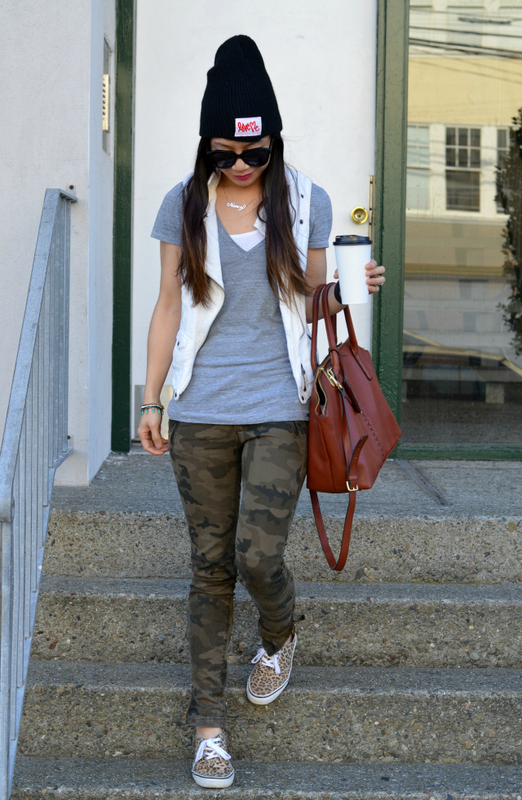 love the camo and leopard mix, I must try that sometime you look super cute. isn't it always a great feeling to get some down time after a whirlwind of business? and down time with coffee makes me so much better.